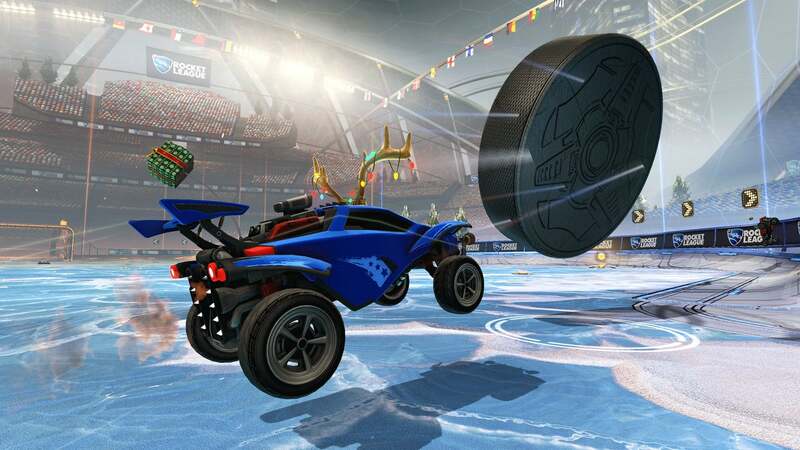 The Xbox One version of Rocket League was submitted to Microsoft for certification before those newer features were released on PC/ PS4 via patches (a necessary step due to the length of the Xbox certification process). Online Playlists dedicated to things like “Snow Day” and Rocket Labs were initially introduced to PlayStation and PC audiences after several months of standard Online gameplay; allowing plenty of time for us to confirm that the new playlists wouldn’t split the audience too severely from the “standard” lists. During launch week, we wanted to ensure that the Xbox community understood the fundamentals of Rocket League before introducing the extra playlists and also, that our “standard” matchmaking would not suffer. Now that you know our reasoning, we’re going to tell you about what our next steps will be! First, we’re going to turn on the “Snow Day” hockey mode for our online playlist sometime next week. Subjectively, this mode is AWESOME, and the seemingly-small change from ball to puck makes an enormous difference in strategy, timing, and teamwork. Note, that this mode will not replace any current Playlist in any way, and will instead join the existing football (soccer) modes in non-competitive online play. Second, or maybe even first depending the patch certification process, we’ll be rolling out our first Xbox One title update ASAP. This update is a “quality of life” patch that addresses some of the more annoying things our players have found since launch day — like the occasional party bug or title crash. We are also working on a second update that addresses even more stuff that you guys tell us about, but we don’t have a date on that yet. Stay tuned for that one. A little further down the road, near the end of March or possibly sooner (depending on matchmaking health), we will introduce the “Mutator Mashup” online playlist that brings several pre-created “Mutator” combinations like Cubic or Pinball to the network scene. Whether or not they are added as an addition to or a replacement for Snow Day will depend on what kind of split we’re seeing (if any) with the audience. 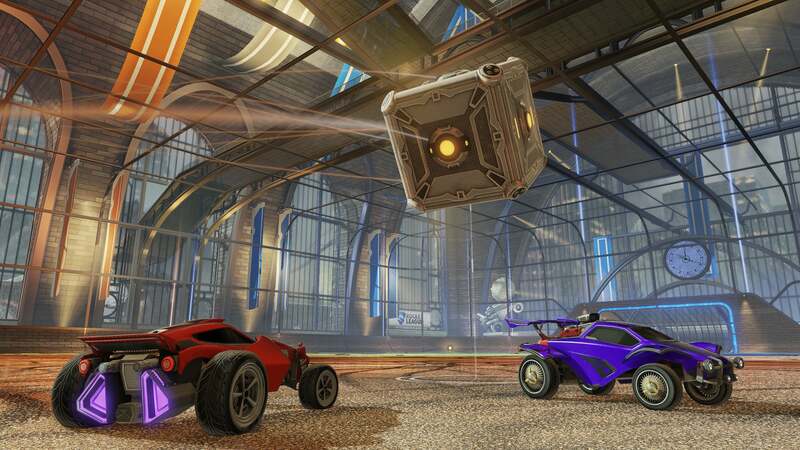 By the time April rolls around, we hope to have the all three versions of Rocket League completely aligned with a content update to Xbox One. It is here that you should see Rocket Labs come to XB1 and most, if not all, content that has been added in the PC and PS4 updates after our Xbox submission. Community flags and other Garage items updates will get added in as well. We’ll have more specific information as we get closer to the patch release. And that’s what we can share for now. In-between all this, we should have an announcement for all platforms that you should find pretty interesting (and no, it’s not cross-platform play with PC and PS4, sorry), but that’s for another day — so consider that one a bona fide teaser! One behalf of the entire team here at Psyonix, we’d like to extend a huge “thank you” to ALL Xbox One players who have joined our growing community. Your patience and excitement are highly appreciated.